Recurring Slope Lineae (RSL), Perchlorates and Running Water on Mars, A Frozen Sea at Utopia Planitia; and the Possible High End of Pressure on Mars. Updated on 9/14/2018. 13.3 Recurring Slope Lineae (RSL), Perchlorates and Running Water on Mars. On September 28, 2015 NASA held a press conference at which it was alleged that they had proof of running water at multiple sites on Mars. The press conference is found at http://mars.nasa.gov/news/whatsnew/index.cfm?FuseAction=ShowNews&NewsID=1858. While the source of the water is not yet pinned down, the very existence of it provides a clue that pressure is higher than NASA has thought. As for how NASA thinks the water can exist at low pressures, they place emphasis on the idea of deliquescence. In reference to it NASA argues that perchlorate salts like those found on Mars have a special capability of being able to absorb moisture until they dissolve in the moisture absorbed and form a solution. Deliquescence occurs when the vapor pressure of the solution that is formed is less than the partial pressure of water vapor in the air. This is one possible explanation for formation of Recurring Slope Lineae (RSL) – the dark streaks shown growing on Figure 51 below. They are assumed to be due to running water/brine. Soluble salts will deliquesce if Martian air is sufficiently humid. The NASA press conference does refer to snow seen falling at the Phoenix lander site, however it states that rain has never been seen falling on Mars. It also indicates that it’s possible that the running water has an underground source, but proof of that will likely have to wait for results from a ground penetrating radar scheduled to be sent to Mars in 2020. As for no rain, earlier we wrote that the REMS Team weather data indicated that while UV at the Mars Science Laboratory (MSL) varied from low to very high, during the first 2,005 sols there was not a single sol when opacity was not listed as “sunny.” At that time the report indicated 16 sols with low µv but after the number reached 19 sols of low µv the REMS Team deleted them all from their reports. By the end of MSL Year 2 (sol 1,338) there were no sols with low µv and 108 sols with no data. See Section 15 of this Report. Although we cannot rule out arguments that link water’s ability to flow on Mars to widespread amounts of perchlorates dissolved in the Martian water, we submit that the running water is more likely to be linked to atmospheric pressure that is two orders of magnitude higher than what NASA has told us. The authors of the NASA study discussed here are operating under the assumption that the average pressure at areoid is 6.1 mbar (McEwen et al., 2014). As will be explained below in conjunction with Figure 57, we believe that it’s closer to 511 mbar at areoid, and higher at lower altitudes. 13.3.1 Length of daylight hours where RSL are found. We calculated the amount of daylight where RSL are found at Palikir Crater (40.8 South) shown on Figure 51. The sun was above the horizon for 15.3 hours on March 3, 2011 (late spring at Palikir Crater). For April 27, 2011 (early summer) there were about 15.56 hours of sunlight. 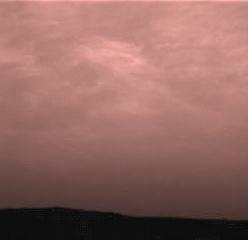 For May 30, 2011 (the second month of Martian summer) daylight hours then were down to 15.05 hours. A Martian day is 24 hours, 39 minutes. The math to support these calculations is on David Roffman’s web site at http://davidaroffman.com/photo2_13.html. Note: On November 22, 2016 NASA announced that a frozen sea with as much fresh water as is in Lake Superior on Earth was found at on Mars at Utopia Planitia between 39° and 49° North. See https://www.nasa.gov/feature/jpl/mars-ice-deposit-holds-as-much-water-as-lake-superior and Section 12.4 of this Report. Melas Chasma is in the tropics at 11.5° South (see Figure 52). There daylight varied between 13.1 hours on the first day of summer (Ls 270) to 11.6 hours on the first day of winter (Ls 90). However, McEwen et al., 2014122 indicate on their Table 1 that at this position there is activity on the north facing slopes between Ls 133° and 161° and on the south facing slope between Ls 192° and 281°. Melas Chasma is south of the equator.112 The subsolar latitude is to the south only between Ls 208° in the first month of spring there to Ls 331° in the third month of summer. 13.3.2 Latitudes, times and temperatures for evidence of running water. Figure 52 shows the known locations, but under 4% of the Martian surface has been imaged well enough to see the features. In accordance with the 2011 Abstract by Alfred S. McEwen, Lujendra Ojha, et al., RSL appear and lengthen in the late southern spring/summer from 48°S to 32°S latitudes favoring equator-facing slopes–times and places with peak surface temperatures from ~250-300 K. Later it was stated in a paper entitled RECURRING SLOPE LINEAE IN EQUATORIAL REGIONS OF MARS (McEwen et al., 2014) that there is “extensive activity of recurring slope lineae in equatorial regions of Mars, particularly in the deep canyons of Valles Marineris.” The McEwen et al., 2014 paper shows the location of RSL at Acidalia Planitia in the northern hemisphere (see Figure 53B) and states that there is one confirmed site at 35° North latitude (which is the Acidalia Planitia site). Figure 53 shows the solar longitude (Ls) and temperatures where RSL form in afternoons on north, east, south and west facing walls of Melas Chasma in Valles Marineris on Mars. Figure 54 shows that while the range of ~250 to 300K was just given for temperatures, in fact where temperatures were below 273 K (the freezing point of water) they were not much below it. This may indicate that the concentration of perchlorates is not high enough to drive the freezing point down by 70 K, something that was shown on a slide by Luju Ojha at NASA at 22:15 into the NASA press conference on September 28, 2015. FIGURE 52 BELOW. Location of Recurring Slope Lineae (RSL) where it is believed that liquid water (brine) flows on Mars. Note the location of Palikir Crater and Melas Chasma. When water actually runs is affected by the slope. Figures 53 and 54 are based on a slope of 40°. Water runs at Melas Chasma for a little over 41% of the Martian year. The water seen flowing at for Palikir Crater (Figure 51), if all inclusive, represents only a little over 15% of the Martian year. Number of hours per sol when RSL were present at Melas Chasma varied from about 11.8 to 13.1 hours. Figure 53 (adapted from McEwen et al., 2014) shows projected surface and subsurface temperatures to a depth of 10 cm at Melas Chasma with directions given. 13.3.3. The role of perchlorates in RSL. Earlier this report quoted Dr. Paul Mahaffy’s statement that SAM (Sample Analysis on Mars “can therefore check a recent hypothesis that perchlorate – a reactive chemical discovered by the Phoenix Mars Mission – may have masked organics in soil samples taken by Viking.” Perchlorates may have cost Gilbert Levin the Nobel Prize for finding life at the Viking 1 and 2 landing sites so far. Both landers got positive results for his labeled release experiments there. What are perchlorates? They are salts of perchloric acid. An example is potassium perchlorate (formula KclO4). Ironically, the very chemical that may have given Levin so much grief was used by NASA as a reason to explain running water on a planet that they still claim has atmospheric pressure close to that of a vacuum. Lujendra Ojha (shown on Figure 55) and his colleagues created a computer program that could scrutinize individual pixels in pictures seen from Earth. This was necessary because the areas in concern for RSL are only about 5 meters (16 feet) wide. That data was then correlated with high-resolution images of the streaks. Scientists concentrated on the widest streaks and came up with a 100 percent match between their locations and detections of hydrated salts. “We’re not claiming that we found ... evidence of liquid water. We found hydrated salts,” Ojha said. Still, that was enough for NASA, which declared a “Mars mystery solved,” in a press advisory. What Ojha found were spectra for magnesium perchlorate, sodium perchlorate and calcium perchlorate. Light is being absorbed at wavelength of 1.9 and 2.1 microns. These wavelength match what is seen with hydrated salts of perchlorate (ClO4). This means that there is water in the molecular structure of these salts. Ojhu claims that the Mars Reconnaissance Orbiter (MRO) observes the surface of Mars every day at roughly 3 pm which is the driest time of day. He says that most of the liquid water will have been completely evaporated then. However, he states that the molecular water trapped inside the salts will have been a bit more stable and that is exactly what they observed. This means that the source of molecular water or water in the crystal structure of salts is either due to RSL or some other processes that created these streaks. Regardless, the presence of hydrated salts in the slopes means that the streaks are due to contemporary liquid water. At Palikir Crater they see presence of hydrated salts only when the streaks are present. Evidence of running water is seen in places with peak surface temperatures from ~250 to 300K. On Earth pure water freezes at 273.15K and boils at 373.15K. At the accepted low pressures on Mars Ojha stated that pure water is very unstable on Mars, being able to exist only between 0° C and 10° C (273.15K and 283.15K). He notes that it would boil above 10° C (50° F). He goes on to state that a perchlorate-brine form of salty water on Mars would stay liquid down to -70° C and not start boiling until the temperature reached 24° C (297.15K). The ~300K figure given above (which was from a 2011 article with Ojha’s name on it) for areas with running water thus seems a little high, especially with issues related to latent heat of vaporization. Further, in examining our records for Mars Science Laboratory which is close to the Equator at 4.59° South there never was a temperature claimed (either before JPL revised its temperature data, or after) that was in the range of 300K or 297.15K. Nor was any such temperature recorded by any lander on Mars. Temperatures that high are only linked to what was allegedly seen from orbit. They are apparently also linked to ground temperatures on slopes inclined toward the sun. Figure 54 (adapted from McEwen et al., 2014) shows the relationship between temperature, season and direction for RSL at Melas Chasma. The fact that the temperatures associated with RSL are rarely associated with temperatures much below 273, the freezing point of water in Earth, may indicate a low concentration of perchlorates and/or air pressure that that different from what is found on Earth. With respect to everything we heard in the NASA conference of 28 September 2015 we believe that Figure 54 sums it up best. The fact that the temperatures associated with RSL are rarely associated with temperatures much below 273, the freezing point of water in Earth, may indicate a low concentration of perchlorates and/or air pressure that are different from what is found on Earth. FIGURE 55: The left side shows results from Spectroscopy when matching RSL with perchlorates. The right side shows effects of perchlorates on boiling and freezing points of water at pressures on Mars that are accepted by NASA. We dispute the accepted pressure 6.1 mbar at areoid and instead believe that the real pressure at areoid is about 511 mbar. We argue that the widespread presence of running water strengthens our case. ROFFMAN COMMENT. A soil covering of only 3 feet seems to be very thin when it comes to stopping sublimation. Clarification is needed with respect to how often the soil is this thin vs. how often it’s up to 33 feet. The statement about the planet’s thin, dry atmosphere leaves out a specific pressure, and our report disputes the accepted 6.1 mbar pressure at areoid. More, as is seen in Figure 53F Utopia Planitia is about 7 km below areoid meaning that the pressure will be sufficiently above the triple point (the point at which the temperature and pressure at which the three phases (gas, liquid, and solid) of that substance coexist in thermodynamic equilibrium – for water 273.16 K, 6.11657 mbar) thus enabling both ice and liquid water (when warm enough) to exist at the surface (as it does in conjunction with recurring slope lineae at locations noted on Figure 53B). Indeed if we accept the absurdly low NASA-backed pressure at areoid, with a MOLA altitude of 7 km below areoid, as our calculation below on Table 16 reveals the pressure would be up to about 11.66 mbar in Utopia Planitia, but we present evidence in conjunction with Figure 57 to back a real pressure of over 700 mbar. Entering Arguments Scale Height 10.8 Km And Average Martian Pressure 6.1 Mbar. ROFFMAN COMMENTS: We discussed axial tilt in conjunction with the potential pressure on Mars earlier in Section 12. There we noted that Read and Lewis (2004, pp. 269-270)79 postulated potential reserves of CO2-H2O clathrate in regolith that could raise surface pressure to 200 hPa (mbar) during periods of high-obliquity when, at some point in the future, They said that if more clathrate is locked up under deeper polar deposits underground, pressure could go as high as 850 hPa (Jakosky et al., 1995).85 But if the soil became rich in water ice through precipitation and adsorption into the porous regolith, Read and Lewis state the value might be limited to 15-30 mbar. Now we know that the soil is indeed rich in water ice. But we must point out that such a low pressure does not seem conducive to much precipitation. Snow has been seen falling at the Mars Phoenix lander, but supposedly it did not reach the surface. In comparison to the rest of Mars, there are very few craters seen in Utopia Planitia, which seems to suggest a young surface. Since we know that much of the northern hemisphere of Mars was once under water, what we are more likely looking at here is not the result of rain or snow 120,000 years ago. Rather, it is probably an example of the larger sea that once occupied most of the ancient Martian northern hemisphere. It did not all evaporate and fly off into space. Rather, the surface froze and was subsequently covered with a relatively thin layer of dust and dirt. Note that in 2015 NASA Goddard put out an article and video about the ancient Martian ocean. Their article was entitled NASA Research Suggests Mars Once Had More Water Than Earth’s Arctic Ocean. The accompanying video is at http://youtu.be/WH8kHncLZwM. Using ratios in waters of deuterium in water to normal hydrogen they determined that Mars had lost 87% of its water to space and that all that remained was frozen at the poles of Mars. However the discovery at Utopia Planitia obviously calls into question their conclusion and begs the question as to how much of what is colored blue in the northern hemisphere on Figure 56 is, in fact, not just low areas like Utopia Planitia was thought to be, but are in fact also areas where large amounts of ice will be found. The newly surveyed ice deposit spans latitudes from 39 to 49 degrees within the plains. NASA says it represents less than one percent of all known water ice on Mars, but it more than doubles the volume of thick, buried ice sheets known in the northern plains. Ice deposits close to the surface are being considered as a resource for astronauts.115 The only lander to touch down between 39 and 49 degrees North was Viking 2 (at almost 48° North) which recorded a maximum temperature of 245.74 K (-24.71° C/-17.338° F). So it never saw above freezing temperatures (but MSL, near the equator, often did). 13.5 The High End of Pressure Estimates for Mars. There were at least five pressures published by the Remote Environmental Monitoring Station Team with Earth-like pressures of 742 to 747 hPa (mbar) for September 1 to 5, 2012 (Ls 164.1° to 166.3° - shown on Figure 17A) and another found for August 30 that was 735 hPa before revision to 740 Pa. While the 51 mbar estimate based on the SAM is almost an order of magnitude greater than accepted pressures, it equates to an altitude of 63,057 feet (19,220 meters) above Earth. Walking around at such a low pressure would still require a pressure suit. But there is evidence that suggests pressure far higher than this. While there are caveats, pressures this high make Martian weather far easier to understand. The evidence begins with photos and wording found on a JPL web site. With regard to the Earth-like high pressure reports from the REMS Team, most of them are shown on Figure 17A. The red and green comments are our comments. Could these pressures be real? Such pressures would explain the weather plainly seen much better than pressures under 10 mbar, but one particular photo of Martian Weather with JPL commentary may have given us a glance at proof that the five really high pressures were actually accurate. The color photo mentioned above is shown on Figure 57. The evidence is based on stratus clouds seen 16 km above Mars Pathfinder. Pathfinder landed in the Martian tropics at 19.33 North, 33.55 West at 3.682 km below areoid, so 16 km above that would be an altitude of 12.318 km above areoid. Pathfinder is unlikely to have changed its own altitude very much over 16 sols. We first focus on what minimum pressure is required for stratus clouds to form in Earth’s atmosphere. The highest stratus clouds are cirrostratus. They occur at altitudes up to 13,000 meters.91 As is shown on Figure 57, at 13,000 meters the expected pressure on Earth is 163.33 mbar. With this pressure in mind we can make an estimate of pressure on Mars, but first we state the caveats. The pressures calculated do not factor in higher than terrestrial dust loads in the Martian atmosphere. Nor do they consider the gas composition of the Martian atmosphere (95% CO2 vs. about 0.04% on Earth). So at best we are shooting here for a ball park estimate. And so when this particular man allows reports to be issued for five days that back our projected pressures, and later to allow publication of 1,177 Pa and 1,200 Pa pressures for sols 1,160 and 1,161 as well as 1154 Pa on Sol 1301; issues of personnel, agendas, possible disinformation and rebellion should not be overlooked. The REMS reports in question were shown earlier on Figure 14D to 14F. While Kahanpää was clear about his dissatisfaction with NASA is his discussion about how his sensor was employed with Phoenix, I have not seen him write anything about the massive confusion that occurred again with his sensor on MSL. I can only state that the Phoenix and MSL sensors were essentially the same (as was shown back on Figure 11A). Both were delivered to NASA in 2008.35 However, with Kahanpää as the man on the REMS Team directly responsible for pressure reports from MSL (at least until possible censorship), we see that multiple incidents of highest pressures reported have been eliminated – the first five days in September 2012 (cut a hundred-fold), the 1149 Pa pressure for Sol 370 (reduced to 865 Pa), the 940 Pa pressure (changed to N/A for Sol 192 on February 19, 2013) and 937 Pa for Sol 200 (February 27, 2013) also changed to N/A. On 23 November 2015 we wrote that 1,177 and 1,200 Pa pressures for Sol 1,160 (10 to 12 November 2015) were still standing, but we expected them to be politically revised to 897 Pa +/- 3PA. In fact they were reduced to 898 and 897 Pa. Further, an 1154 Pa pressure for Sol 1301 was also cut to 752 Pa (there was also a 954 Pa pressure on Sol 1300 that was reduced to 752 Pa). This Section of my report was accessed by someone at IP address 85.76.183.141 in Helsinki, Finland on November 29, 2015. I assume that’s you, my friend Dr. Kahanpää. You are likely walking around with the key to Mars in your pocket. But will you dare to unlock it? Be careful, the list of IP addresses from NASA and other space agencies and governments who read our web sites almost daily is most impressive. Figure 57 � Stratus clouds on Earth are found up to altitudes of 13,000 meters, where pressures are about 163.33 mbar. They are not found over Earth at pressures below this level. The same kind of clouds is found on Mars. If the same minimum pressure is required on Mars, where these clouds were seen 16 km above Mars Pathfinder which was 3.682 km below areoid, it means that the stratus clouds were about 12.318 km above areoid. Based on an accepted scale height of 10.8, this implies a pressure at areoid of about 511 mbar, at Pathfinder of about 718 mbar, with 768 mbar at MSL, 835 mbar at Valles Marineris, and 1,054 mbar in Hellas Basin. The 768 mbar figure for MSL should be compared to REMS Team results for September 1 to 5, 2012 shown earlier on Figure 18. This report is continued with Section 13.6 here.